This joint connects the breast bone to the collar bone. It is a very stable joint and rarely causes problems unless injured. Most injuries are direct by falls during sports/accidents or after repetitive injuries during racquet sports. The joint partially dislocates or the disc in the joint gets injured. 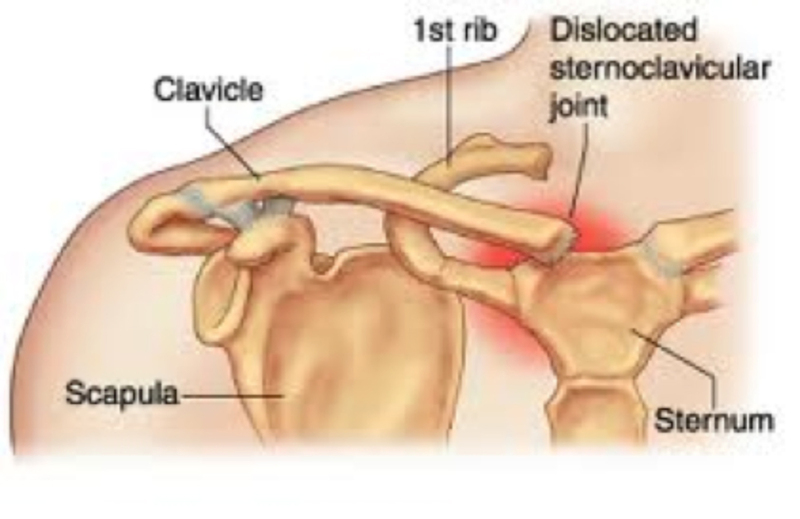 The pain and swelling occurs in the inner part of the collar bone. Investigation by clinical examination and X rays / scans may be necessary if there is a doubt about the diagnosis or to plan treatment. Most patients need reassurance or infrequently, an injection of cortisone to reduce pain in the joint. Surgery is not often required as the pain often settles with time but can leave a swelling that may be obvious.